A common question we hear from customers is: “Why am I getting latency in my DAW sessions?” Indeed, the topic of latency is complex and at times mysterious. 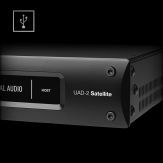 In this article we will guide you through what the realistic expectations around latency are with regards to the UAD-2 platform, as well as how to optimize your setup to achieve the best results. To begin, what do we mean by latency? Latency is a term used to describe the delay between the time you play a note and the time you hear that note. Even in the physical world, a certain amount of delay is unavoidable — it takes time for a sound wave to move through the air from the instrument to your ears. Likewise in a strictly analog recording setup, it takes a small amount of time for electricity to travel down a copper wire. These sources of latency are known and unavoidable, but our brains are more than accustomed to these small delays. The primary source of latency when monitoring input signals or playing virtual instruments in the DAW is your host I/O buffer size. 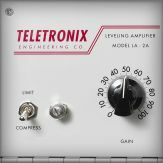 Your computer processor needs time to perform all the calculations required to render your music in real time, and the larger the buffer size, the more time your CPU has to get it's work done. The downside to this is that you will experience more and more latency when monitoring input signals or playing virtual instruments in your DAW as you set the buffer size larger. A common workflow is to keep the buffer low (32 samples is the smallest value possible) while performing with software-based instruments and increase the buffer as needed when your session begins to get more complex. If you experience clicks, pops, or stuttering this is a sure sign that your buffer is too low. 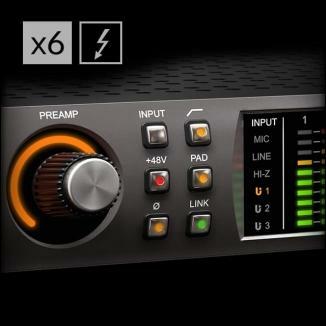 The other main source of latency in the DAW is the usage of latency-inducing plug-ins. 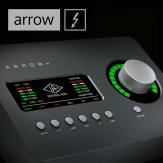 All plug-ins, native or otherwise, will add some latency to the signal flow in your DAW. 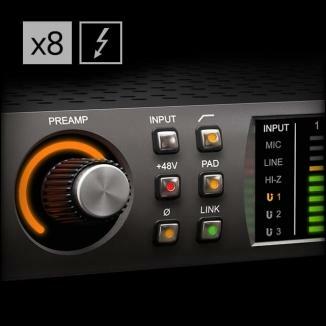 The amount of latency each plug-in or plug-in chain you use will vary. 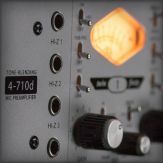 However, all of our supported DAW environments have a feature known as Delay Compensation, which keeps all of your tracks time-aligned by delaying all your tracks by the same amount as the track with the greatest latency. This is a crucial feature for modern workflows, but the side effect is that using plug-ins in your session will increase the latency you experience beyond that caused by the host buffer size alone. This side effect is only a issue if you are monitoring input signals through the DAW or playing virtual instruments in the DAW, and we will discuss ways to work around this later in this article. As long as you don't exceed the the limit of the delay compensation engine, this essential feature will keep all your tracks time-aligned and should always be enabled. Note that if you are a Cubase user, Delay Compensation is on by default, but can be constrained when playing VST instruments by pressing this button. 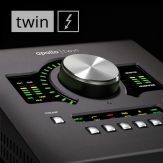 If you are using an Apollo Twin USB, there is an additional USB safety buffer that can be increased if you are experiencing pops, clicks, or beeps in audio playback. The downside is that this will add a small amount of latency to playback in the DAW, but this will only affect you when playing virtual instruments or monitoring input signal in the DAW. Monitoring input signals through Console will remain latency-free regardless of this setting. For more information on the USB safety buffer please review this article. Also, some DAWs offer a "Low Latency Recording" mode that bypasses Delay Comp on record-enabled tracks. Please refer to your DAW's documentation for more information on these features. 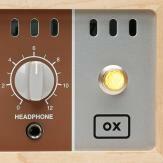 The above recommendations are great if you are only working with incoming audio signals sent into your Apollo. What if you are using virtual instruments inside of your DAW? As noted when introducing the topic, use a low I/O buffer size to minimize latency as a first step. 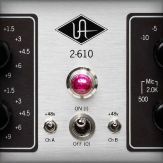 If you want to monitor a soft synth through your favorite UAD-2 plug-ins while performing, you can send the output of those instruments to virtual channels in Console and load the UAD-2 plug-ins there instead of in the DAW to minimize latency. When you are finished tracking the MIDI part, you can revert the routing back to the default and then recreate the plug-in chain back in the DAW. Alternatively you can create a new audio track in the DAW and record the output of the virtual channels in Console (the downside to this approach is that the track would be printed to audio and you would need to repeat the process again if you want to edit the MIDI performance and/or effects). 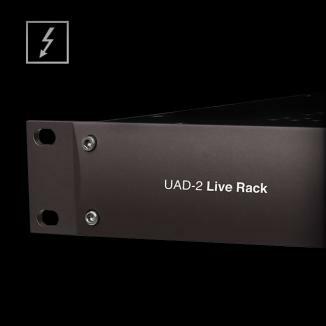 If you own a UAD-2 PCIe card, Thunderbolt Satellite, or USB Satellite, there is another option available to specifically minimize the latency induced by using UAD-2 plug-ins in your DAW sessions: LiveTrack mode. 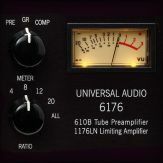 Click the microphone icon in the bottom left corner of the UAD plug-in window to enable this mode, which bypasses the host buffer size to provide you with the lowest latency possible. This mode places additional strain on your host CPU and is not recommended for more than one or two plug-ins in your session at a time, or in large sessions with high CPU usage. Please note that having any Firewire device connected to your system will remove this option, even if the plug-ins are being loaded on a non-Firewire device. If you are running a Thunderbolt system, you may want to consider disabling the "extra buffering" setting in the UAD Meter and Control Panel>Configuration tab to further reduce the overall latency of your setup. 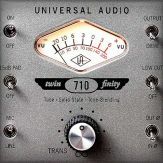 If you are using any UAD-2 FireWire devices it is not recommended to disable this setting. All of the above information is related to normal, expected latency in the DAW environment. Sometimes, however, things can go wrong. If your audio sounds normal when recording, but the various tracks are out of sync upon playback, there is something amiss with your system. 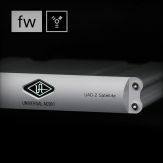 In this case, it is recommended to perform a full UAD uninstall / reinstall procedure as well as delete your DAW preferences to reset your setup. But wait, there's more! Here are a few final considerations to take into account on the topic of latency. The first is that the higher your sample rate, the lower your latency will be. This will put a greater strain on your resources, but if the lowest latency possible is your goal go ahead and try running at higher sample rates. 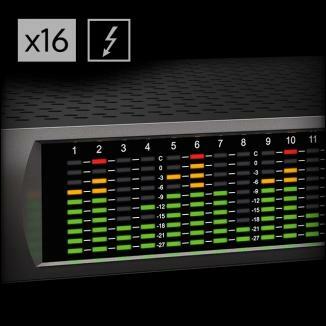 Another note is that the Aux Channels in Console add an additional 32 samples of latency to your signal. 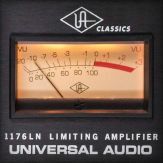 For reverbs and delays placed on Aux Channels this will be virtually unnoticeable, but for creative routing schemes (parallel processing, for example) you may notice the extra latency. 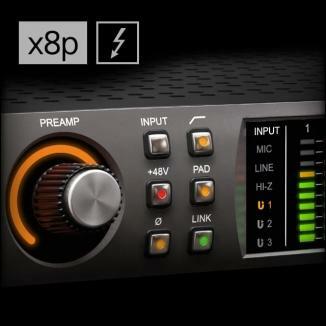 Input Delay Compensation (in Console>Settings>Hardware) is an important feature to leave on if you are using multiple microphones on the same sound source (such as a multi-mic drum recording) and you are running up-sampled plug-ins on some channels but not the others. However, if your recording scenario is anything other than that, you can set this feature to "OFF" for the lowest possible latency. Be sure to quit and re-open your DAW whenever this setting is changed. 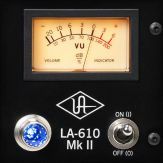 Why is there latency when I try to record through UAD plug-ins in my DAW?